Atlantic Boats’, Inc. is conveniently located less than 1 mile north of Buzzards Bay off Route 28 in Wareham. 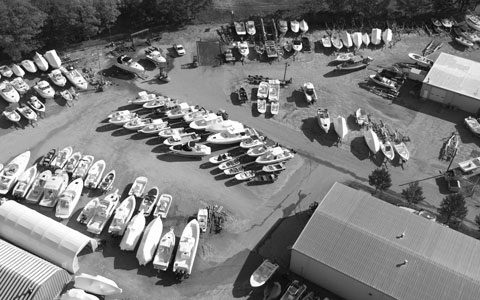 John Cornish opened its’ doors in 1989 catering to the trailerable boat customer on 1.2 acres of land and has grown Atlantic Boats into a state of the art facility on 5.5 acres, hosts a separate indoor heated storage building, a sales department, a full marine store and the Stonebridge Marina in Onset. Better Boating, Better Life is our mission. Once ABI was able to embrace this mindset and culture throughout the company, we were able to grow into a full service facility. We stand by our service 100%. ABI has received numerous customer service awards by certain manufacturers and one has currently ranked Atlantic Boats’ #1 in customer service from Massachusetts to Virginia! 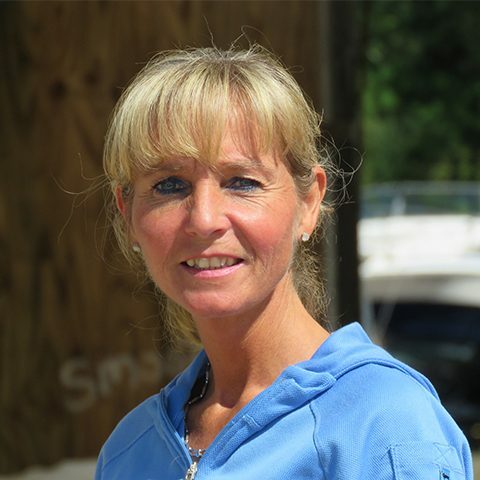 We attribute this accomplishment to taking the the time to listen to our customers’ needs, and we give everyone the respect, quality and “ABI Treatment” each and every time you call or come to Atlantic Boats’. We thank you for your loyalty, your feedback and for those who have been with the Atlantic Boats’ family since day one! We are a year round employer, as every employee counts and are viewed as the lynchpin to our success. Our painters are certified as well as ALL our technicians and they continue their education and certifications every year. We are a firm believer of promoting from within. Our parts department can assist you with just about any part, product or accessory you need. Not just for our motor lines: Yamaha, Suzuki, Honda, Mercury, Tohatsu, Volvo, Mercruiser, each staff member is extremely knowledgeable with the latest electronics, assisting with ethanol products to mooring lines and supplies. They are eager to give you the one on one attention that you want and deserve in assisting you in finding exactly what you need. Sales of new boats such as Scout, Striper, Lund, Carolina Skiff, Sea Chaser and brokerage boats is conveniently located right outside the parts department. We offer financing and we don’t discriminate, we are happy to serve any power boat whether you purchased it from us or not. Who says you can’t have it all? The Stonebridge Marina is very reasonably priced and is easily accessible from land or sea. The marina offers several amenities for the entire family such as wireless internet, showers, washer and dryer, fuel dock, bait, a beautiful beach, picnic area with a grill, Stonebridge Bar & Grill restaurant and daily or weekly Boat Rentals. We realize that the boating season is short and Atlantic Boats’, Inc. is dedicated to making certain that your boat or motor are ready or repaired in the time promised and never over the estimate provided. Welcome in joining us in our mission to: Better Boating, Better Life. In 1989 Fred Klein and John Cornish started Atlantic Boats in Wareham, Massachusetts as a small boating business catering to customer’s needs. Although one might think that their inland location would hinder business, the dealership offered trailerable boats at a prime highway intersection leading to and from Cape Cod. With a constant shortage of dock space and moorings, the idea of trailerable boats became increasingly popular with Atlantic Boats’ customers. 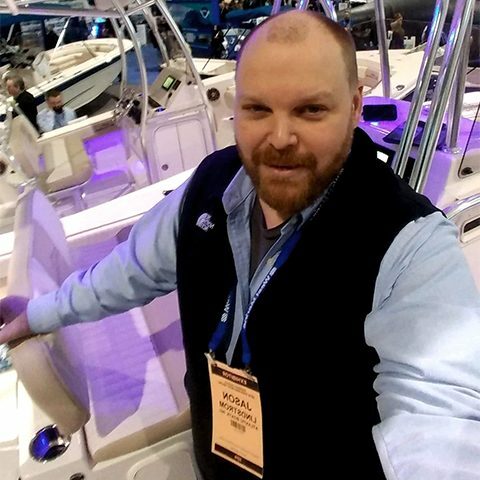 The understanding of the boating and customer service has led Atlantic Boats to a growth not only in their sales, but also their grounds. 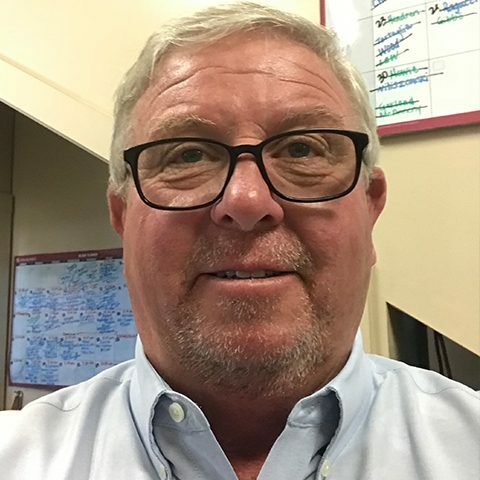 After a modest two years of leasing their facility, they were able to purchase the operation, and in 2000 they constructed a new building to serve as a service building, expanding their original 1.2-acre site to 3.5 acres. 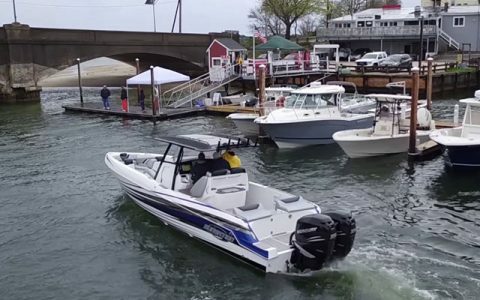 In addition to their Wareham location, Atlantic Boats also owns Stone Bridge Marina in Onset, MA, where prospective customers can perform tests runs. Such expansions further display Atlantic Boats commitment to quality service and better customer relations. 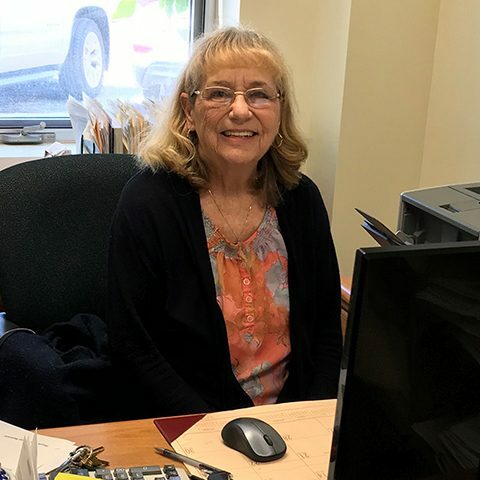 The dealership’s success did not go unrecognized as seen through their numerous awards such as Top District Sales Performer and Super Service Awards. Atlantic Boats recognized that through superior customer relations, a great product mix, new facilities, enviable location, a prodigious understanding of the boating market, and enough business acumen to know that professionally done sales in the present will beget service opportunities in the future, and vice versa, add up to a business that others might do well to emulate. Atlantic Boats offers something that no one else does. Better Boating. Better Life. Boy was it good to pick up our new boat yesterday! Susan was very happy! Thank you for the great experience. -Russell P.